Do you know that 95% of your website visitors bounce back from your website without completing the desired action? It means that your website is missing out the huge reservation from the qualified visitors. 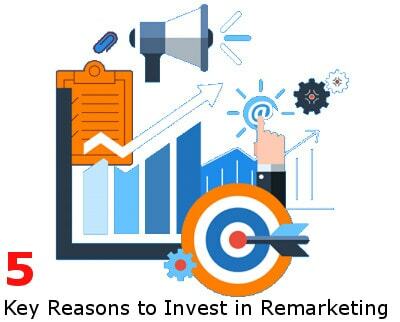 Seeing the latest trend, we can see that Remarketing is helping out the websites to make a second impression and also helping with the conversion. So now the big question is, what’re some more compelling reasons you should be doing Remarketing to retrieve your bounced-back customers? At your first marketing attempt, only 5% or sometimes lesser customers convert on your website which is too low to match your business expectation. If you don’t believe, then go and run your conversions against your traffic and you will surely be stuck at 5%. And there are plentiful reasons behind this low score. It might be the users want to research about the product or service before making purchases, it may be also because of the bad or irrelevant landing page, the customer didn’t get the answer to his query, tentativeness to trust your brand etc. This is the reason you need Remarketing to bring back those 95% remaining visitors. When you are Remarketing, the cost per click (CPC) is relatively cheaper. 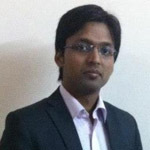 This is by and large the core reason why you should go for the Remarketing. Comparatively, the first time when you paid for the Adwords marketing was around 2 dollars, but the second time, the amount that you pay for the Remarketing is just 0.50 dollars which is extremely less. If you can pay ¼ of what you paid last time to get them back again, this is the fairest deal you ever can have. Regardless of your Adwords budget, I would recommend you Remarketing if you are indeed serious about your business. Depending on your industry or the domain niche, you will probably be looking ahead to bid higher on your Remarketing ads. If your Adwords Remarketing ads and landing pages are solid, this can prove to be a very significant way to constantly inform the customer that you actually exist and that you have some high-quality products to look on. But it also depends on the average value of your customer. In case if you are selling a book that worth 5 dollars, then it is probably useless to bid higher while Remarketing the campaign. At the same time if your individual product’s worth is 1,000 dollars, then it really makes sense to bid higher. With Remarketing, you have the best opportunity to rebuild your impression and to improve the image. However, a lot of companies I notice don’t tweak their ads while Remarketing. Since customers already know you as the business, when you display an ad, make it different than the previous one. If you’re a clinic or hospital, write an ad that goes like- Still in Pain? As compared to the previous one that would say, ‘in pain?’ make the changes and see how the bit of tweaks in ad bring back the bounced customer. Also show something extra to the customer on your website like testimonials, the range of services, the awards, etc. This would make your Remarketing campaign more impactful. This is how the brand awareness improves when you constantly show your brand on the internet. Since online enthusiasts regularly see your ads, they know it by nature. However, you are suggested to set up the frequency caps and timing so that the customers don’t get fed up of it by seeing too many ads. This method of Remarketing must be going into moderation otherwise, it might backfire and that may make you lose out your money unnecessarily.